Famous Sulfur Baths, Narikala Fortress Metekhi Church and Shardeni district are less than 15 minutes away. Guests also benefit from being positioned nearby the Galeria shopping mall and a funicular railway leading to the scenic Mtatsminda Hill. Lunch or dinner, our stylish Rooftop venue is a perfect choice to enrich your Asian cuisine knowledge. Not ready for an experiment? There is always a delicious Georgian dish to try or a refreshment to drink by the Volkswagen Kombi Bar! The experience was absolutely delightful, beautiful interior, and friendly staff. I loved that the hotel is trying to be as sustainable as possible. Unfortunately, the breakfast menu did not have a lot of vegetarian options; however, it was delicious nonetheless. Room was very warm/hot. Hard to sleep. 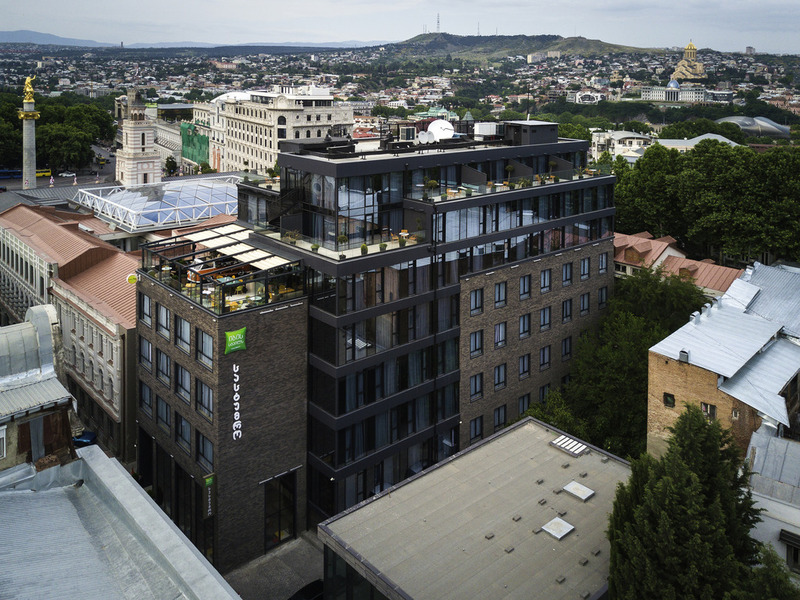 I highly recommend this hotel in Tbilisi, it’s modern, centrally located, shops, restaurants, coffee shops & night clubs are located within walking distance from the hotel. The staff are very decent & helpful. This was the third occasion I stayed at the Tbilisi Ibis Styles hotel. As on previous occasions I found the staff helpful and polite. Staff was extremely friendly and helpful! I have never felt more welcomed and cared for. The staff made sure we were well accommodated. I would definitely stay there again! Good stay, nice room with a view of Tbilisi key land marks. I wish the down stairs restaurant was open for evening meals and serve food like the restaurant mr mrs Eleven which is on the same st as the hotel. I’m sure it would be a huge success and more convenient for guests. It was a great stay, unfortunately too short with an very early check in and very early check out. But, the hotel was very comfortable, the people extraordinary nice and the bed one of the best I have ever had! From start to finish everything about our stay at the hotel was exceptional. The concept, the staff, the food, the service, the room etc etc were faultless. I’ve visited 93 countries and it’s very, very rare I say this about a hotel... especially one that is part of a large chain. Great hotel, amazing location, great food and reasonable price. Perfect. Fantastic. Will recommend your property to our friends and families. Very nice and welcoming staff. Good breakfast. Great location, clean and modern looking building, inside and out. Feels alot more then it's 3 star rank. Cleaned rooms.Excellent breakfasts. Friendly stuff members.Good location.